Hitachi Seaside Park in Ibaraki Prefecture is one of the best places to be a feast to the eye. 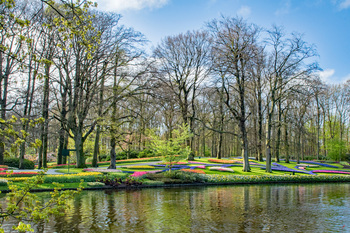 This field is carpeted with colorful tulips between the mid-April and the late-April. This is a photo taken in Hitachi Seaside Park the day before yesterday. The park is home to some 250,000 tulips in 235 different varieties and it seems to me that a quarter of the tulips is open now. They will be in full bloom in a week or so. Almost everyone in the park had a camera or an iPhone, etc. and were enjoying shooting. Showa Memorial Park is a national park located in Tachikawa, Tokyo, and the largest park in Tokyo with an area of 1,653,000 square meters. 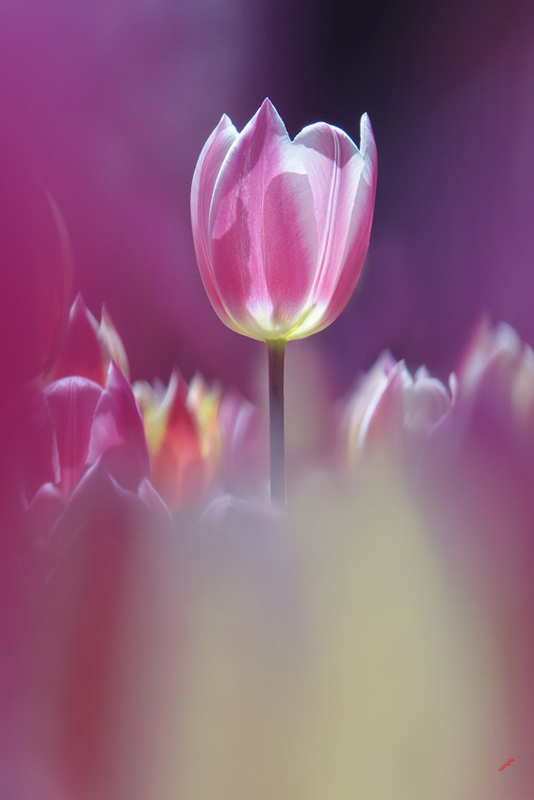 Approximately 230,000 tulips of 185 varieties bloom in April to welcome visitors here. This is a photo taken on April 11, 2019, and they will enchant flower lovers with a variety of displays. I sleep in my car once in a while until the wee hours and wait for my favorite time to photograph Mt. Fuji. The mountain is visible even from far away thanks to the dry air in autumn and winter and stunningly beautiful occasionally. This is a photo taken from Mt. Daikan in Hakone in winter, and the view from the top took my breath away. 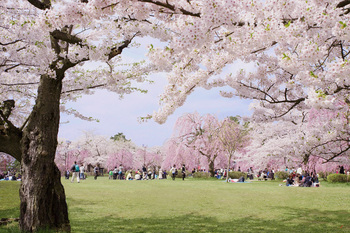 The full bloom of cherry blossoms depends on the area and climate. They bloom between late March and early April in Kanto region, whereas in Aomori Prefecture they normally bloom between late April and early May. It is said that there are some 2,600 cherry trees of 52 kinds in Hirosaki Park, and transient beauty of cherry blossoms attract many people from other countries as well. About this photo, it was taken in the park before. Spring is here and flowers are blooming in many places. It's time to go outside with a camera, isn't it? About this photo, it was taken against the backdrop of a dark shade at aperture f/6.3 with a shutter speed of 1/500th of a second at ISO 500. Heavy rainfall caused a flood along the Naka river running through Mito, Ibaraki Prefecture and nearly 40,000 inhabitants evacuated in August 1998. Therefore a new levee was made as a flood-control measure. Some cherry blossom seedlings were donated from places for beautiful cherry blossoms in 2003, and were planted along the embankment. 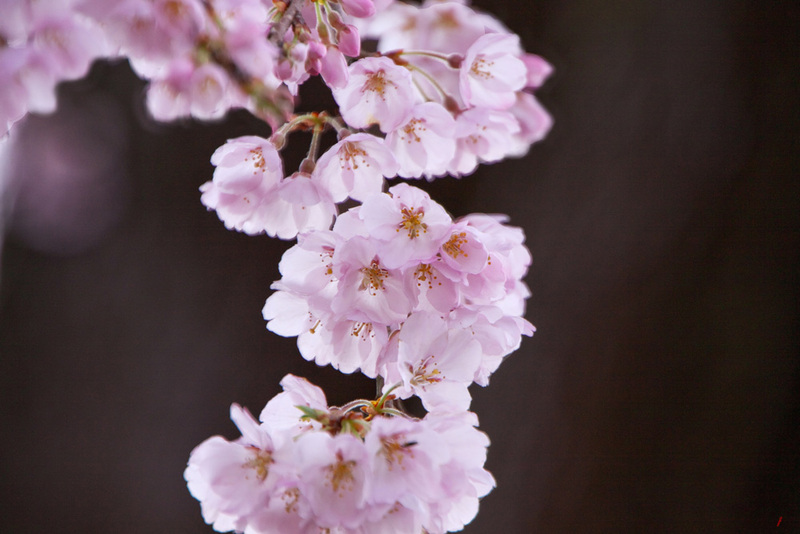 This cherry tree called Hachisuka-sakura is one of them, and the cherry blossoms were in full bloom yesterday. Mt. Mitsutoge located in Yamanashi Prefecture is one of the best spots to take photos of Mt. Fuji from. The top of Mt. Fuji often stands out sharply above a sea of clouds. If the weather is cooperative, the place has a fine view of the mountain, especially in autumn and winter. 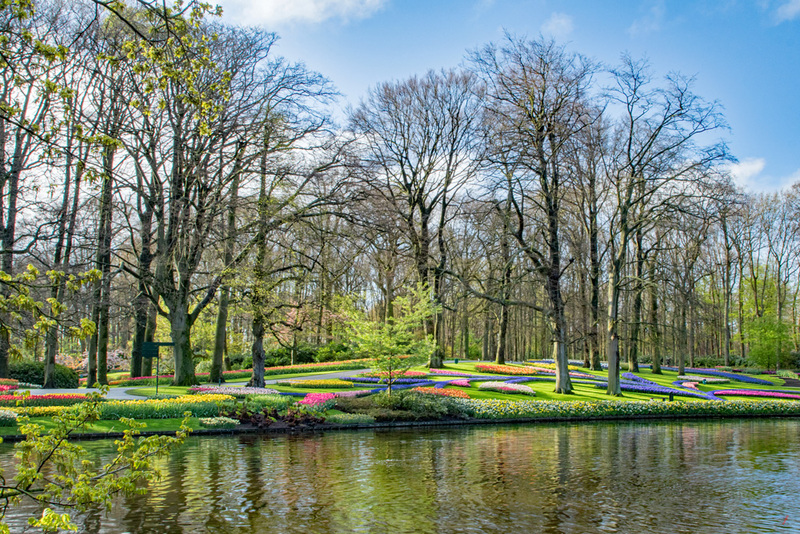 Keukenhof is a huge flower gardens, situated in Lisse, the Netherlands. It has 32 hectares or as big as 7 Tokyo Domes, and will be open from March 21 till May 19 in 2019. 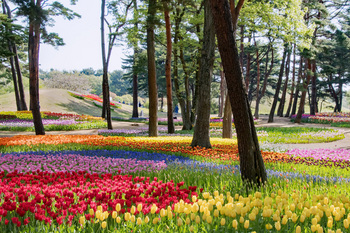 It is said that more than 7 million tulips and other flowers will color the park. Visitors will be able feast their eyes on these lovely flowers. 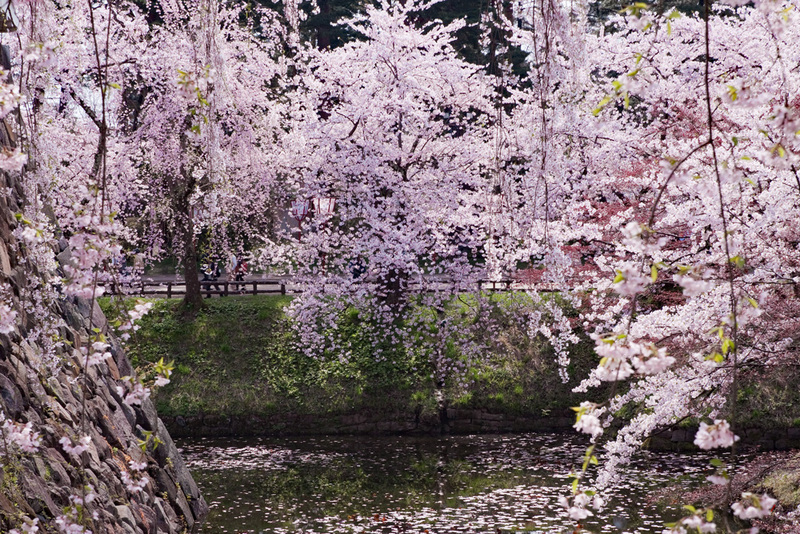 The cherry blossoms at Hirosaki Park located in Aomori Prefecture are well-known as one of the best cherry blossom sights. 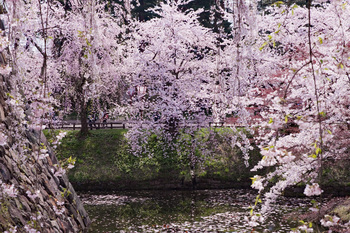 It is said that Hirosaki Park is a home to 2,600 trees with over 50 different types of cherry blossoms, and enchant visitors with a variety of displays throughout the viewing season. 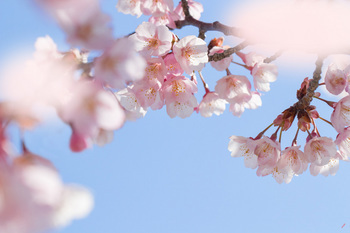 The cherry blossom festival will be held between April 20 and May 6 in 2019.